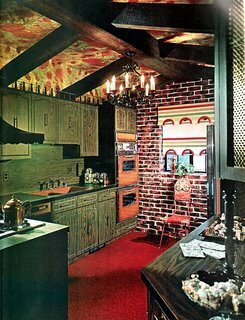 Retro Kitchens - Step Away From These! What a fabulous collection we have here from Desire to Inspire, ok, fabulous being an oxymoron. Nonetheless, we can talk about color, pattern, pattern (oh, sorry, I said that already) and color. I know there has to be one with a rug in there somewhere.